New Items at :mused: for sale! Last years Hunt For The Cure gift is now available at :mused: as well as appliers for the Mad Cow Disease Cow spots! Included Appliers: [uL] Ghetto Booty, [Banned], Brazilia, Phat Azz, Mesh Breasts, [LNL] Omega, Slink Physiqe and #TheMeshProject! 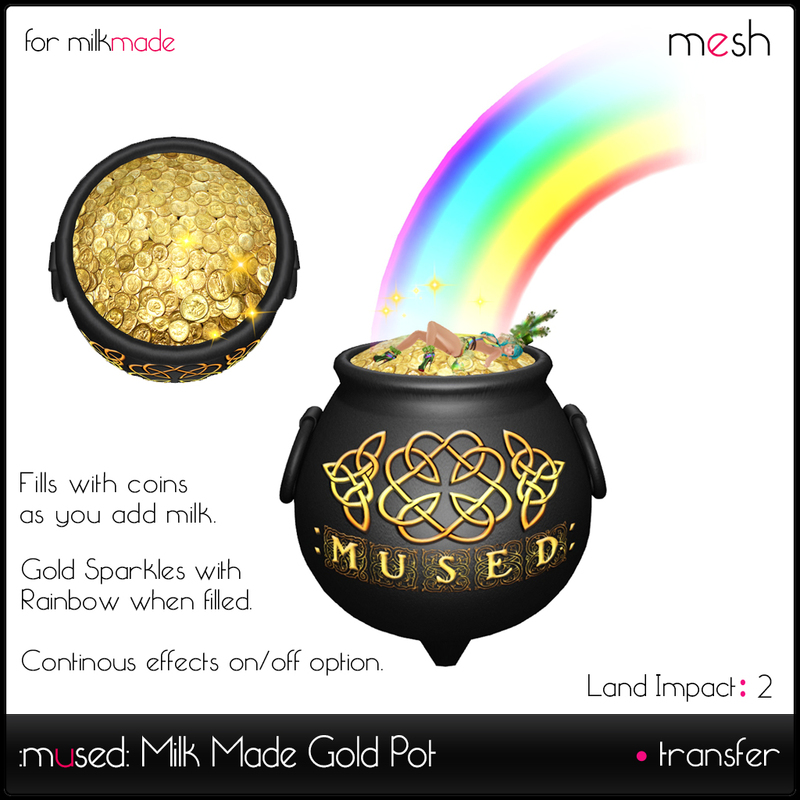 If you have already purchased :mused: Mad Cow Disease you can pick up just the appliers for $50L. A few more items to make their way back to the store are Big Red Barn and Small Blue Barn along with our very own Market Stand and Milk Stands as requested! Filed under: New Releases, News | Tagged: #TheMeshProject, Appliers, Brazilia, Ghetto Booty, mesh breasts, new release, Phat Azz, slink Physique, [Banned], [LNL] Omega |	Comments Off on New Items at :mused: for sale!